All are welcome to attend our Meeting for Worship (Sunday Service), held 11am to noon every Sunday at the Orange Grove Friends Meeting House. 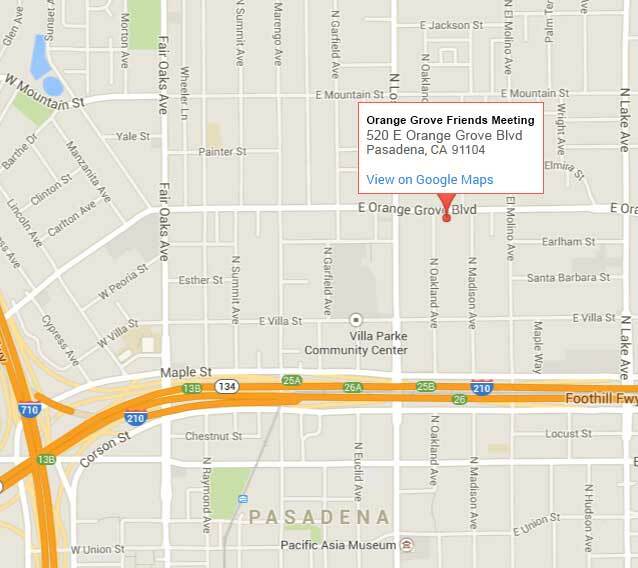 The Meeting House is located at 520 E Orange Grove Blvd, Pasadena, California. Click on the map below for traveling directions. You may also wish to read information on attending our Meeting. Click the map for travel directions.